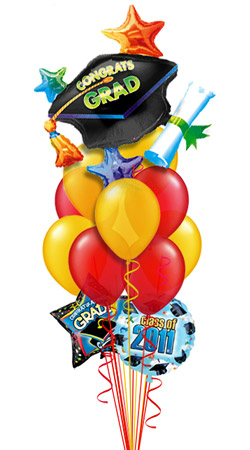 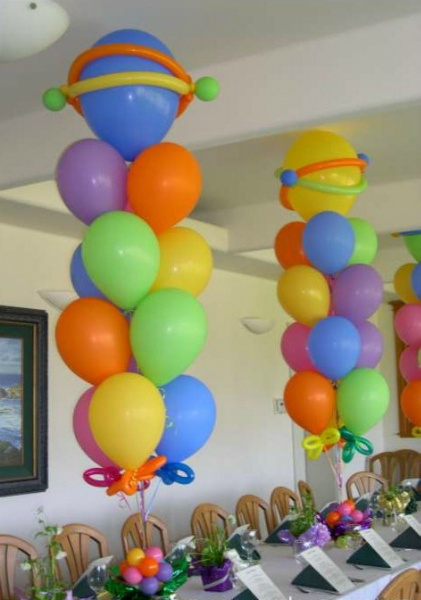 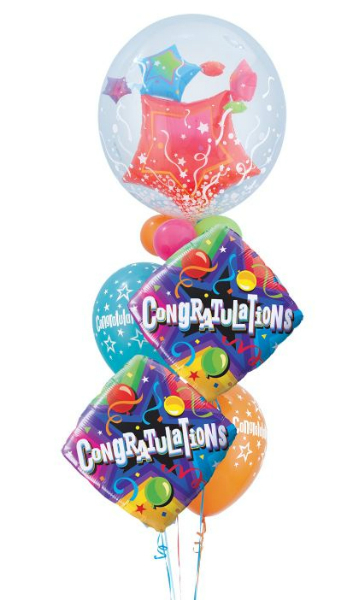 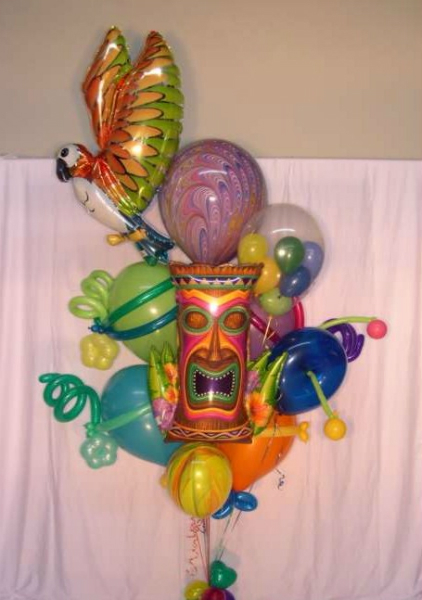 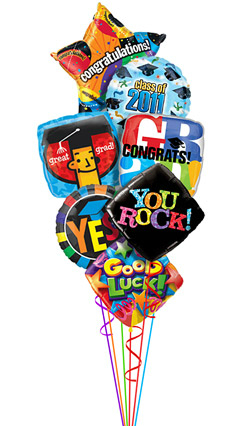 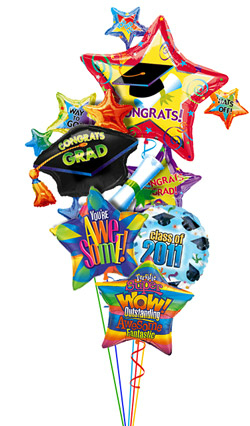 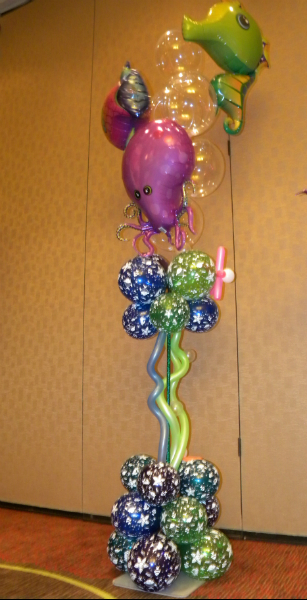 Transform any room with balloon bouquets made with unique shapes and designs. 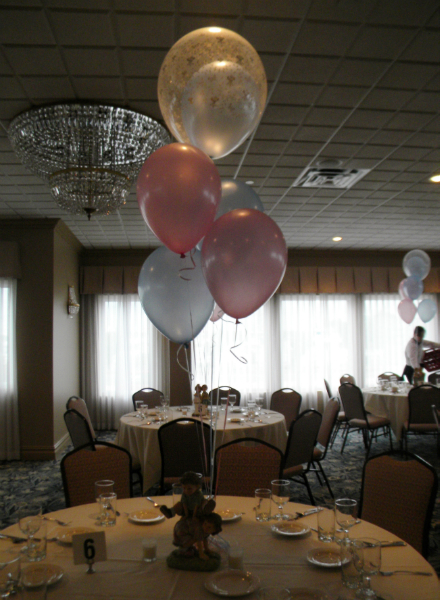 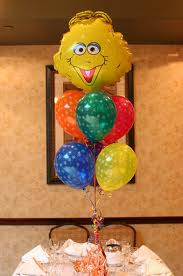 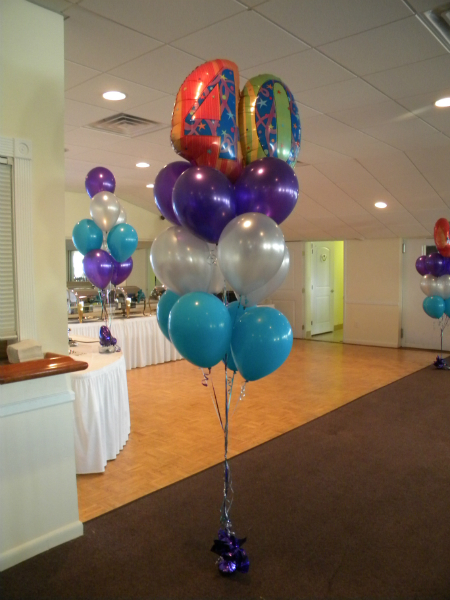 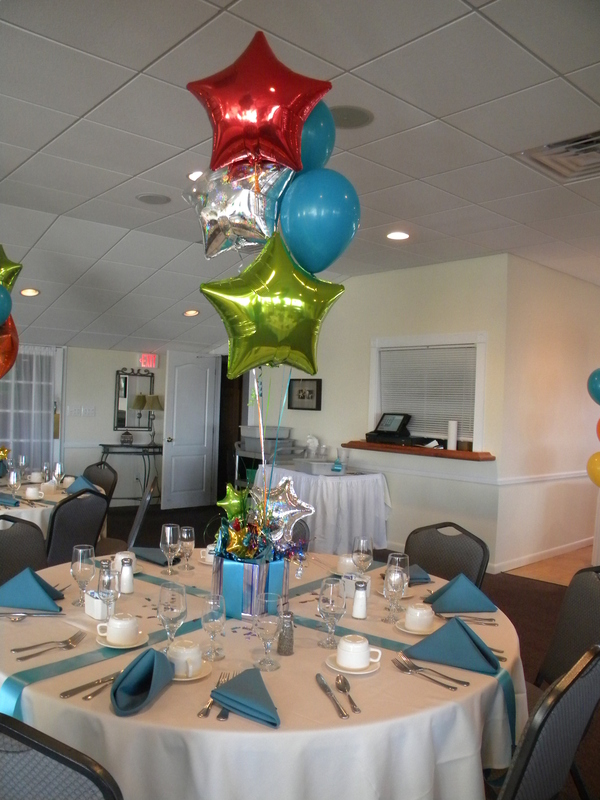 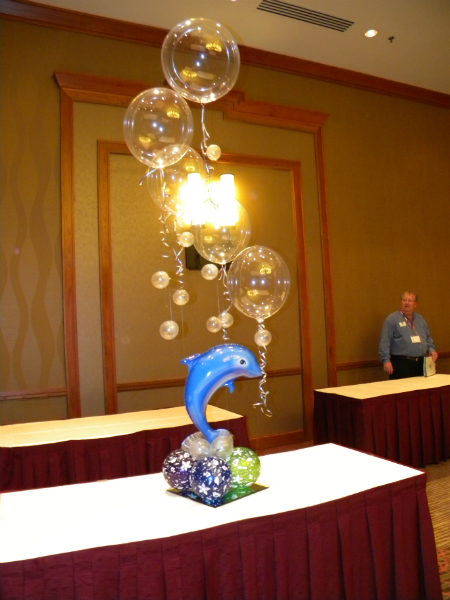 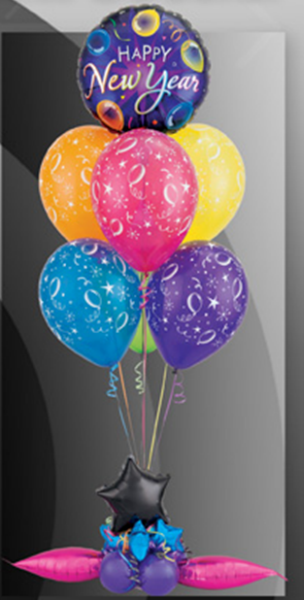 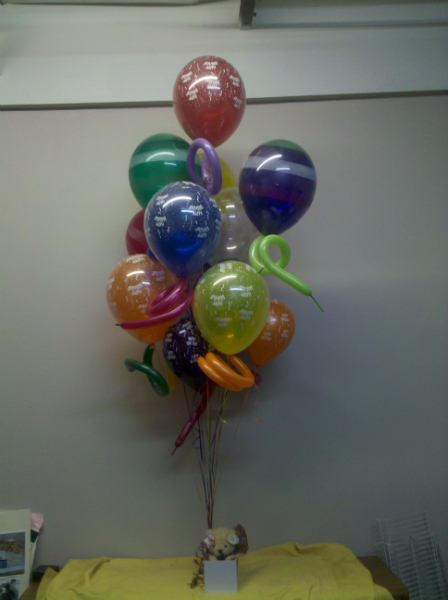 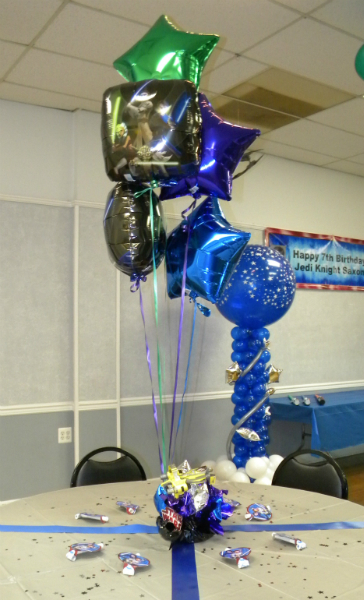 Helium filled bouquets can be ordered within a day’s notice, offering a flexible and economical way to fill a space with color and atmosphere. 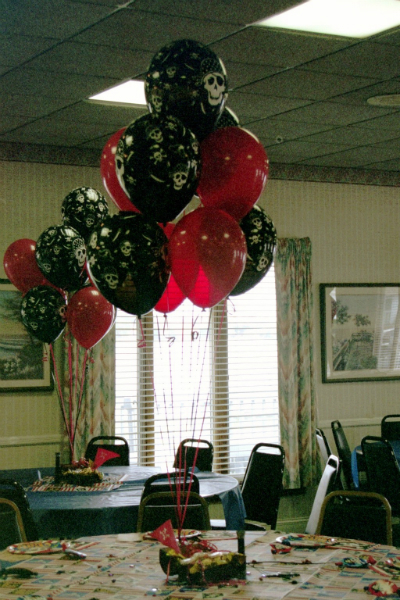 These arrangements come in different styles and heights and can be easily adjusted to complement your space. 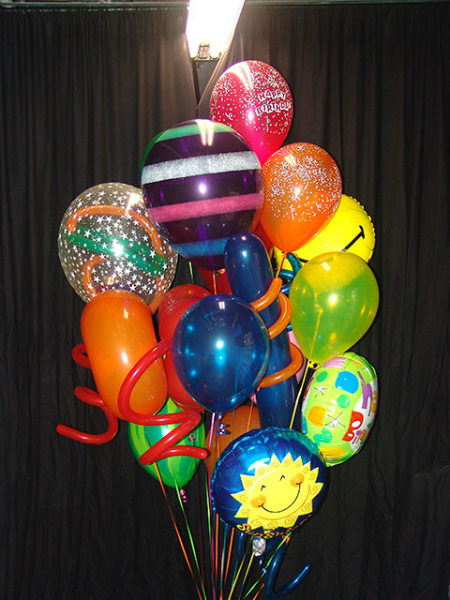 Send gift bouquets to show your appreciation, celebrate a special occasion or to just say “I Love You”. 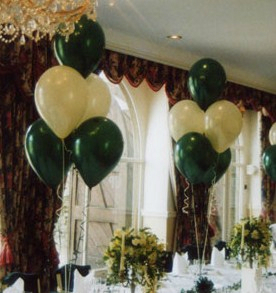 Place around a room to highlight walkways, entrances, stages and even dance floors. 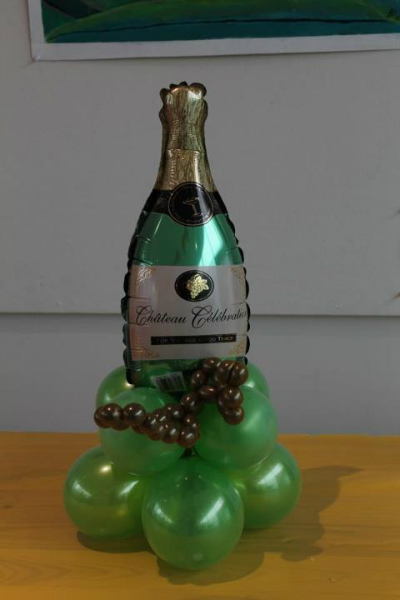 They are perfect for birthday, get well, anniversary, Valentine’s Day, party centerpieces and just about any other occasion. 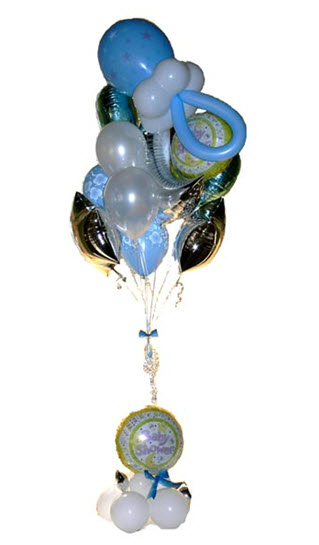 Prepare to be “blown away” with high quality bouquets that last far past your celebration date. 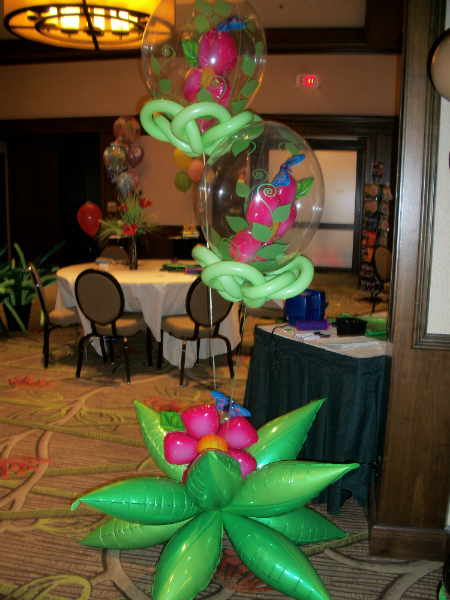 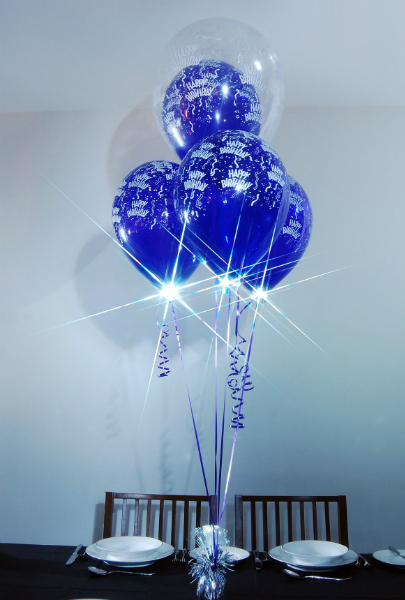 Our latex bouquets can be created with a special technique to make them last longer, while other designs can include foil and the new “deco-bubble” plastic balloons that last from 3 to 4 weeks.